James Milner has come to the rescue for Liverpool this evening by scoring a wonderful equaliser only 8 minutes after Burnley stunned Liverpool by taking the lead. 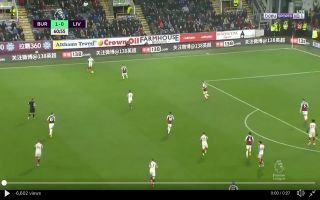 In the 62nd minute of the tie derby day hero Divock Origi held off the Burnley defenders to lay off Milner who drilled the ball into the bottom corner to get the Reds back on track. Milner’s thunderous shot was unstoppable and Joe Hart could only helplessly watch on as the Reds clawed themselves back into the game. James Milner has never lost a league game that he has scored in for Liverpool and it looks like his record will remain intact for now.